You're not likely to find familiar brand-name wines when you shop at Sparrow's. Our wine selection is constantly changing, as David identifies wines from around the world that represent strong examples of a type, at attractive prices. We currently offer outstanding values in Spanish, South American, and South African wines. We have many products priced at $10 or below, with extensive offerings in the $12-$30 range. Plus, we have more expensive bottles from all regions of the world. Our wines are organized according to country of origin, with different sections of the store devoted to wines from Italy, France, Spain and Portugal, South America, Australia and New Zealand, New York, and California. 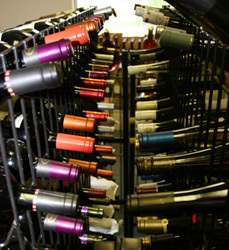 In addition we have collections of sparkling wines, sherries and ports, and Kosher wines. The Italian collection is David's particular interest and is extremely strong. Many selections are displayed on the floor, and more are available from our storage facilities on request. Selections include one-time deals in which David found Chianti to offer at $10.99, to the outstanding products from Planeta (in Sicily), to a deep collection of Barolo examples from at least seven vintages, to the hard-to-find products from Gaja. In addition we carry a full range of spirit-alcohol varieties to meet our customers' entertainment needs. We usually stock more than 60 varieties of single-malt Scotch, currently including some rare Signatory Vintage offerings. Other specialty spirits collections include premium and super-premium bourbons, cognacs, and grappas.